Snowden, a film by Oliver Stone, will be released Christmas Day 2015. With Stone running the show, the film is likely to be controversial. Open Road Films recently made a trailer available which showed the intensity of the movie. Based on the book, The Snowden Files: The Inside Story of the World’s Most Wanted Man, by Luke Harding, the film follows Edward Snowden from his time in the military to when he joined the CIA two years later. 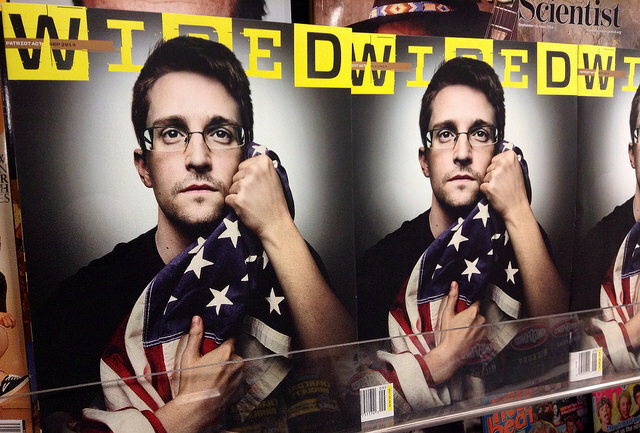 Harding’s book is not the only one about Snowden which has been transitioned into the bright lights of Hollywood. Glenn Greenwald, once Harding’s colleague and author of No Place To Hide, struck a deal with Sony Pictures to film the 2014 Oscar-winning documentary, Citizen Four. Greenwald has been very critical of Harding’s book, explaining in a recent interview, “They are purporting to tell the inside story of Edward Snowden but it is written by someone who has never met or even spoken to him,” Greenwald continues, “Luke came here and talked to me for half a day without [my] realizing that he was trying to get me to write his book for him. I cut the interview off when I realized what he was up to.” With Stone paying an estimated $700,000 for the rights to the book, one would think it has validity. The film, which stars Joseph Gordon-Levitt as the title character, tells the story of how one man went from Army recruit to government employee to whistleblower. Snowden began work as a contractor for Dell in 2009 (Dell manages computer systems for multiple government agencies). Assigned to an NSA facility at Yokota Air Base near Tokyo, he instructed top military officers on how to defend their networks from Chinese hackers. During his time with Dell, he rose from supervising NSA computer system upgrades to working as a self-proclaimed “cyber-strategist.” He became proficient in cyber counterintelligence at several U.S. locations, and in 2011, he spent a year in Maryland as the lead technologist on Dell’s CIA account. In that capacity, he was consulted by the agency’s chief information officer and its chief technology officer. U.S. officials and others familiar with the investigation say he began downloading documents “describing the government’s electronic spying programs while working for Dell,” in April 2012. The recently released trailer of Snowden begins with ominous music and shows an upside-down flag with words across the screen. It seems appropriate that this preview does not show any people; not even Snowden himself. With his days being spent out of the spotlight, he would not have it any other way. Ready to be released on Christmas Day 2015, that will all change as he is being thrown onto center stage, as the film’s release will garner international attention. Although he’s been labeled the most-wanted man in the world as well as a traitor, Snowden has become a champion for American privacy rights. What has not been made clear from the first teaser trailer, however, is whether Stone portrays Snowden in a heroic light or as a villain. The trailer will do a wonderful job piquing interest, as it is comes off as almost haunting. With the film set to be released on Christmas Day, much time and money is being spent to increase interest in the movie; the trailer alone, however, should make that happen without a doubt. One Response to "‘Snowden’ Being Released on Christmas Day [Video]"